One of the secrets to retail success in the physical world is location, location, location. In other words, if you open your store in the right location, people will visit, and you will make sales. Sure, you can open a store anywhere and then spend lots of money advertising. Getting the right location, however, gives you a head start. The online space is different and, arguably, more complicated. There are similarities, though. Like a physical store, you can spend money advertising to get traffic. 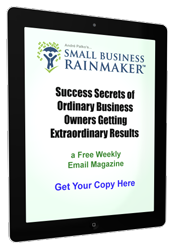 There is another type of traffic you can get, however – organic traffic. Organic traffic includes everyone who clicks to your website from Google search results pages (SERPs), excluding those who click on your paid ads. What’s the online equivalent to location, location, location? The equivalent is getting a good position (ranking) on Google’s SERPs. The best location you can get is a ranking as close to the top of the SERPs as possible. Achieving this requires an e-commerce SEO strategy. 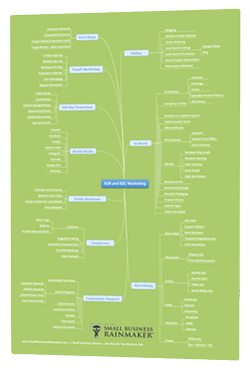 Such services are supplied by any good digital marketing agency. Why go after organic traffic when you can get traffic to your website through advertising and by using other digital marketing methods? 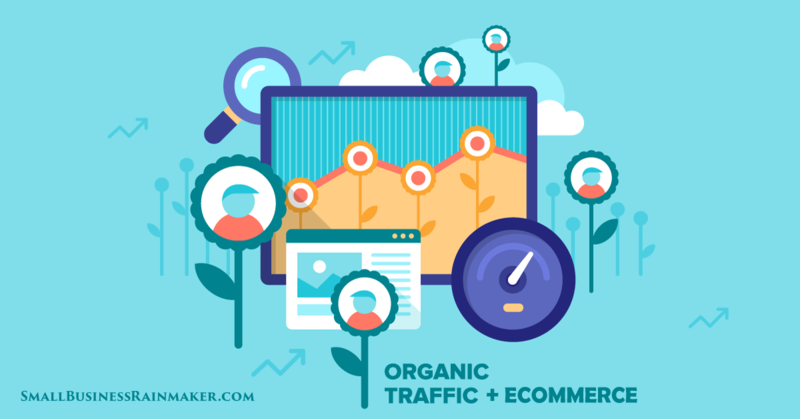 Here are six reasons why organic traffic is important for e-commerce stores. The vast majority of people who make purchases online (89 percent) use search engines to help them make a purchase decision. In other words, your potential customers use Google when researching and making a decision on the products you sell. We mention Google as it is by far the most used search engine in the world with about 92% of the search engine market. Of course, you can reach potential customers with other methods, but there are people in your area using Google today to look for products that you sell. That organic traffic is too important to give up, so you need to use SEO to get it. You can also find new customers when you target organic traffic. This is because organic traffic can bring people to your website that you never thought of before. Here is an example. In a Google AdWords paid search campaign, you need to select keywords. People who do searches on Google with those keywords, or related to those keywords, may see your ads and click to your website. If you have good content on your website and a good SEO strategy, however, you are likely to get organic traffic from keywords that you have never thought of using. These are called longtail keywords and they can often be very lucrative. This is because purchasers often use longtail keywords the closer they get to a buying decision. Most digital marketing strategies used to generate sales in your e-commerce store are designed to get immediate results. Take a paid AdWords ad on Google search as an example. You pay for the click and then expect that customer to make a purchase. There is little to no long-term benefit that comes with that click. The visitor either makes a purchase or they don’t. SEO will bring organic traffic to your website over the medium and long-term. Following on from the last point, the return on investment you achieve with SEO and organic traffic is often much better than the return on investment for paid advertising campaigns or other methods of digital marketing. In other words, increasing sales through organic traffic is usually the most cost-effective option available. This is another point that follows on from some of the previous ones. Put simply, if you don’t target organic traffic, it probably means your competitors rank in higher positions than you in a Google search. This means they are getting customers that could potentially be your customers. You are not likely in the business of giving sales to your competitors. To beat them, you need an SEO strategy to improve your search ranking and get more organic traffic to your website. Getting organic traffic to your website involves implementing an SEO strategy and SEO best practices. A positive side effect you get from doing this is an overall improvement in your website. This improvement will enhance the customer’s user experience which can, in turn, generate more sales to your e-commerce store. After all, a bad website design directly and indirectly affects your Google rankings, traffic, and sales. Let’s use site speed as an example. Site speed is an important SEO factor and is one you should optimize to get as high a ranking on Google as possible. Taking actions to speed up your website will also improve user experience. In addition, it can even get you more sales as your customers may abandon the shopping cart process if they feel it takes too long. You should never ignore the huge potential that organic traffic offers your e-commerce store. In fact, you should not ignore any potential source of traffic, so long as you have the ability and resources to go after it. Increasing levels of organic traffic is possible for just about any e-commerce store, and it can often be achieved in a very cost-effective way. It’s an excellent source of potential sales worth the focus. Our guest author Muhammad Areesh Ishtiaq works as a Search Engine Optimisation Project Manager at Marketing Hack New Zealand. He is a top rated SEO Professional on Upwork.com and has worked on over 60 projects for 52 clients.